Visitors to the Natural History Museum will be able to get eyes on with a new virtual reality exhibition, thanks to a new 15 minute experience narrated by Sir David Attenborough. First Life takes viewers back in time to the beginnings of life on earth, revealing some of Earth's earliest organisms 540 million years ago, and charting their evolution into the first animals. 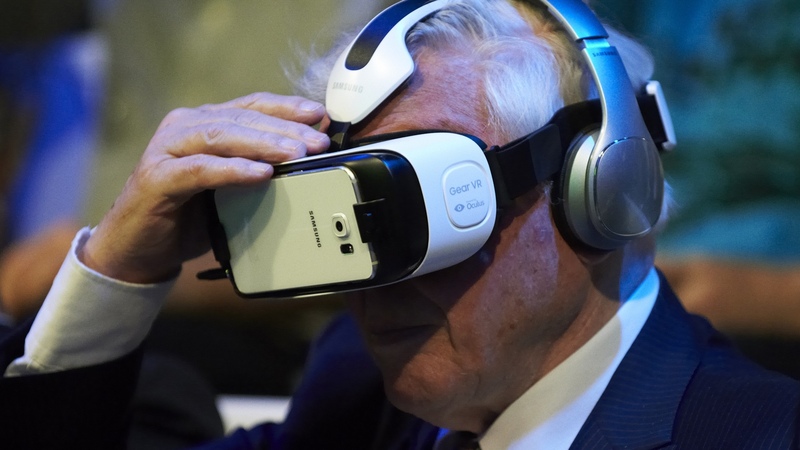 The experience uses Samsung Gear VR headsets, which were lauded for their portability and suitability for families visiting the exhibit by Sir Michael Dixon, Director of the Natural History Museum. "We're always looking for new ways to challenge the way people think abut the natural world. We know virtual reality can transport us to impossible places. This is a compelling example of how technology can revolutionise how we experience museums," he said. Wareable was lucky enough to get eyes on with First Life, and it's certainly an immersive way of learning about Earth's earliest species, which were previously only accessible through fossils and static exhibits. The exhibition opens at the Natural History Museum in London from 19 June, and costs £6.50 for adults.